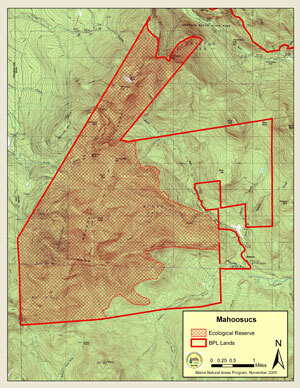 Extending from 1120 feet to 3980 feet in elevation, the Mahoosuc ecological reserve is second to only Bigelow in elevational gradient, and it is one of the three largest state reserves. 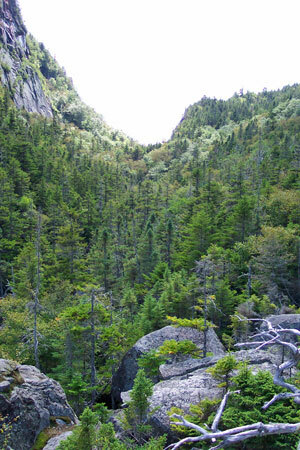 Most of the reserve (8,458 acres) has been classified as sub-alpine forest, and 259 acres have been classified as alpine ridge -- the most alpine habitat of any of the thirteen ecological reserves. 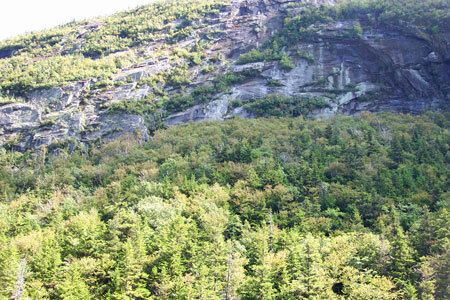 This alpine ridge, traversed by the Appalachian Trail, supports numerous populations of rare plants. 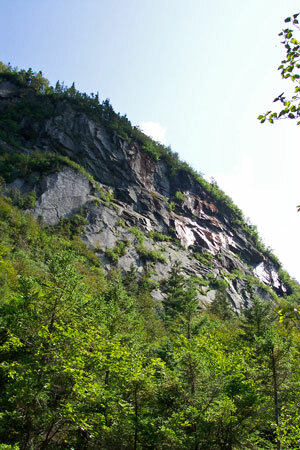 Mahoosuc Notch, a notoriously difficult section of the Appalachian Trail, passes through a jumble of boulders known as a rare Cold Air Talus Slope community, where cold air drainage results in ice chunks remaining through the summer months. 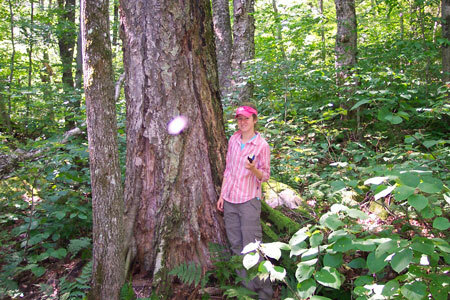 Less than 10% of the reserve was classified as regulated timberland, primarily the hardwood and mixed wood stands on the lower slopes. 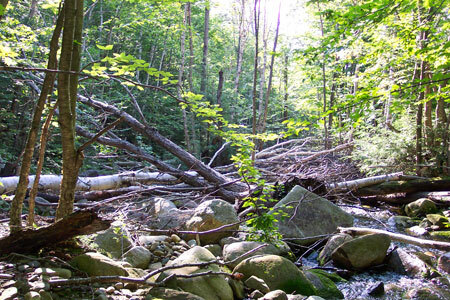 Most of these stands have been selectively harvested in the past, but some areas, including a beech-birch-maple forest in Mahoosuc Notch, show no evidence of cutting. 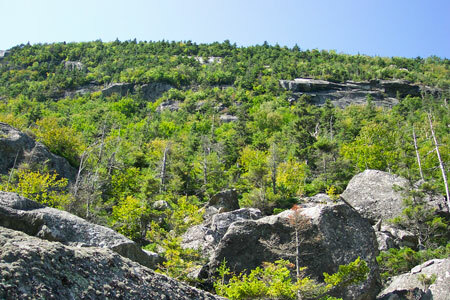 At intermediate elevations, some transitional conifer-dominated stands also show no signs of past harvesting, with trees over 245 years old. 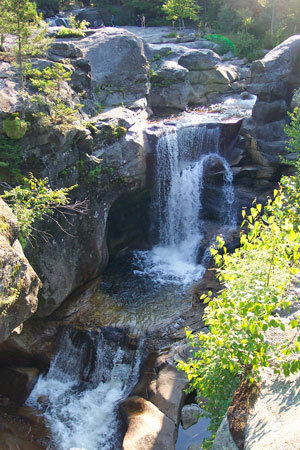 The reserve also includes the 10-acre, 37 foot deep Speck Pond, a sub-alpine tarn. Only two acres within the reserve is wetland. Mahoosuc Management Unit-Management Plan. 1998. Department of Conservation Bureau of Public Lands, Augusta, Maine. 58 pp.